Just as the name of this candy suggest it is chocolate pieces that are regular dark chocolate coated with white chocolate. 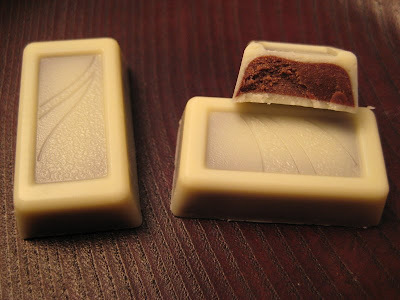 The chocolate in the center is soft in comparison with a regular piece of milk chocolate. 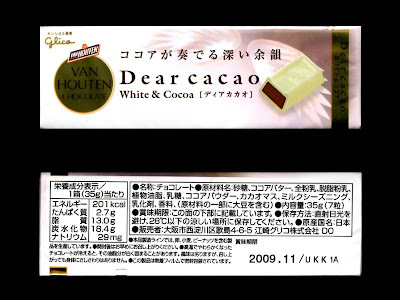 I was quite satisfied with the quality of the chocolate and found it to taste better than the average chocolate bar.